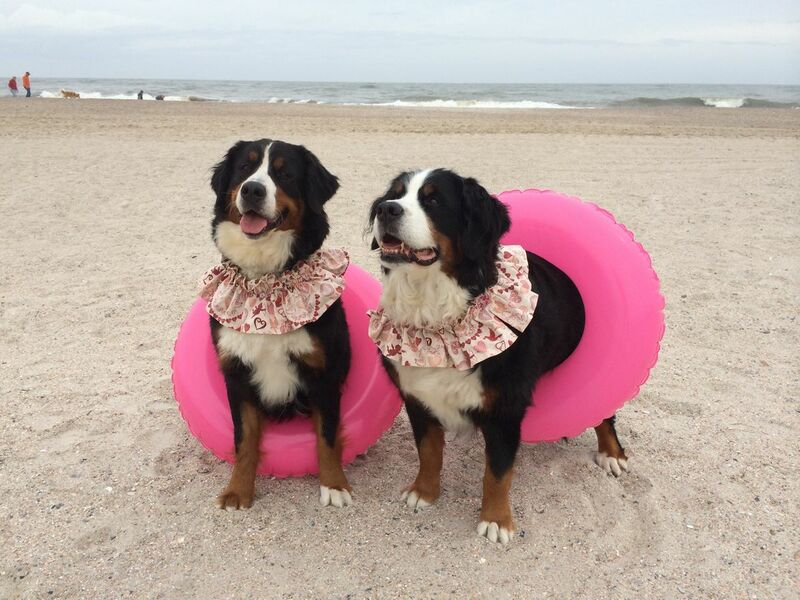 Come join the fun for a weekend with your dogs at Fernandina Beach, Florida! Everyone is welcome! Jean Coker has graciously offered her beach house again as BMD weekend headquarters and it's a stone's throw from the sandy beauty of dog-friendly Fernandina Beach. We have a special rate this time at the pet-friendly Amelia Island Hampton Inn, 2549 Sadler Road, Fernandina Beach, FL 32034 which is usually around $200 a night. They are offering it to us for $89 a night - there is a non-refundable one-time $75 pet fee, but if you stay 3 nights, it comes out to $114.00 per night - which is still incredibly awesome!! To reserve, call the hotel directly at (904) 321-1111 to make the reservation and use the Code "BMD." All reservations at this special rate must be made before 5:00 PM on 2/8/19 because after that, the rooms will be released to the general public and the rate will go up. If you reserve a room and need to cancel, cancellations must be made in writing to the hotel by 2/8/19, It is a really nice hotel with free breakfast and all the amenities. We hope you'll be able to take advantage of it!! Other pet friendly hotels on the island that we know of include Days Inn, 2707 Sadler Road, Fernandina Beach, FL 904-277-2300. And, The Seaside Ameila Inn has one pet friendly room at 2900 Atlantic Ave, Amelia Island, FL 904-206-5300. Please respond if you are definitely putting it on the calendar to attend, thinking about it but not ready to commit for certain yet, or if you already know you can't make it so we can begin to put together an attendance list. The sooner you let us know, the more fun plans we can make for the weekend! We generally try to plan beach walks, a parade down Centre street in the heart of beautiful Fernandina, lots of photo opportunities, meals at dog friendly restaurants in Fernandina (there's a really cute one that will be newly opened that we can't wait to try! ), and then whatever folks suggest as fun, inclusive activities for everyone. If you have questions, please email Lisa at lisa.ellis@gmail.com or message us on Facebook. If you have any activities to suggest - please do! !